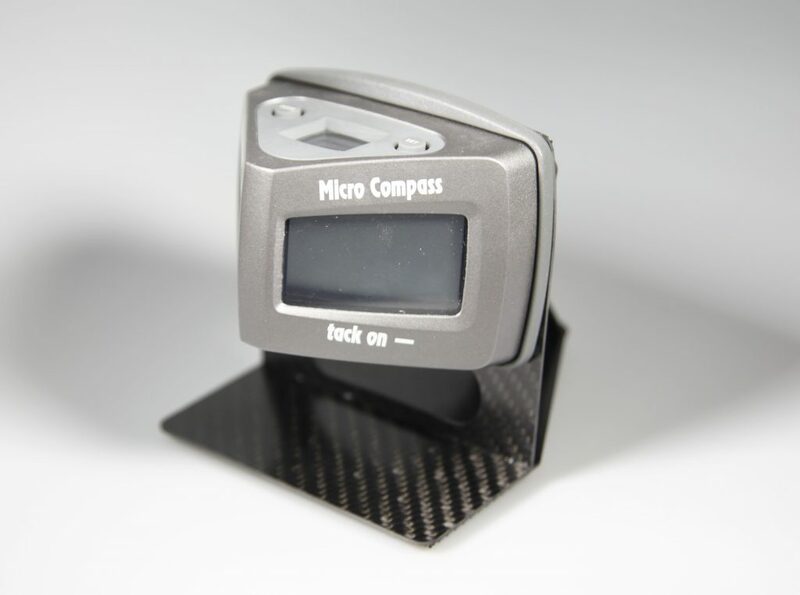 As Velocitek introduced the new Prizm compass in 2018 CarbonParts is creating a new mount. 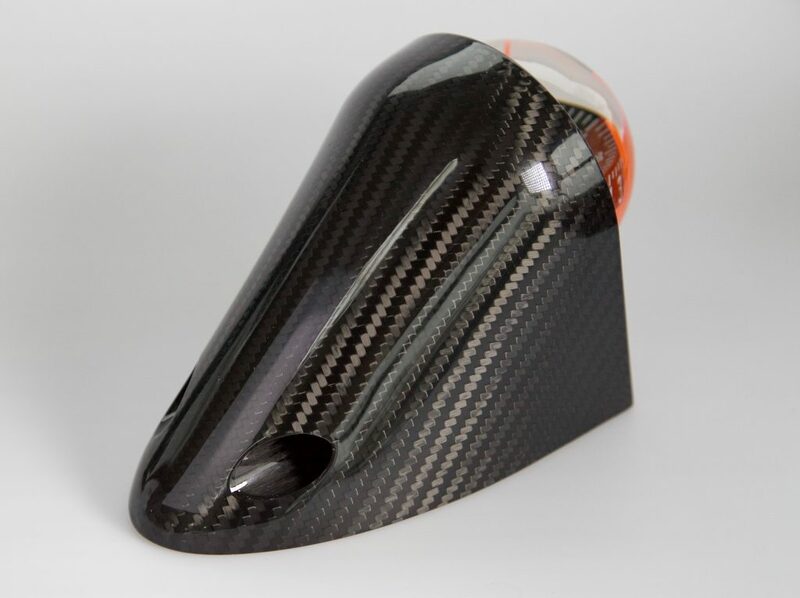 The CarbonParts EC Mount 2 is a single piece manufactured 100° carbon elbow, making it stiff enough to withstand any impacts. It is designed to be placed underneath the vang. This ensures the best visibility and that no ropes get caught on it. 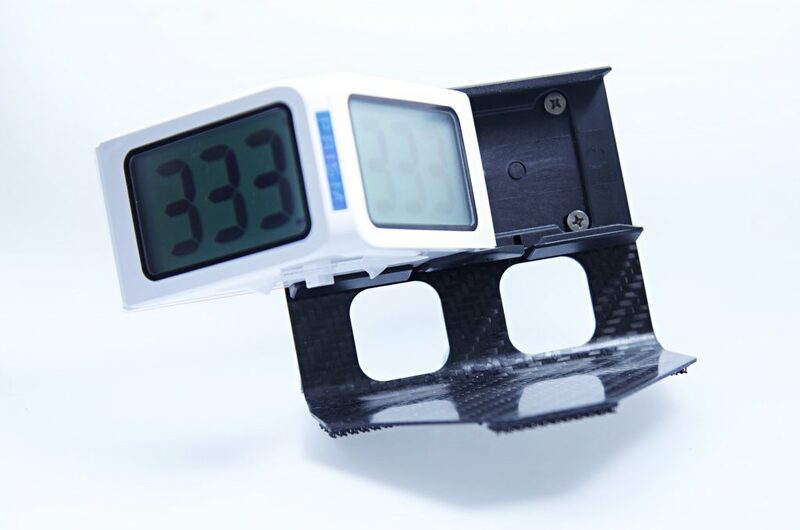 With just 35 g of weight, it is as light as possible, like all CarbonParts products. The dimensions are 70x76x115 mm (LxHxW). On 1st of January 2018, a class rule change in the "Laser" class came into force. Electronic compasses are now allowed. 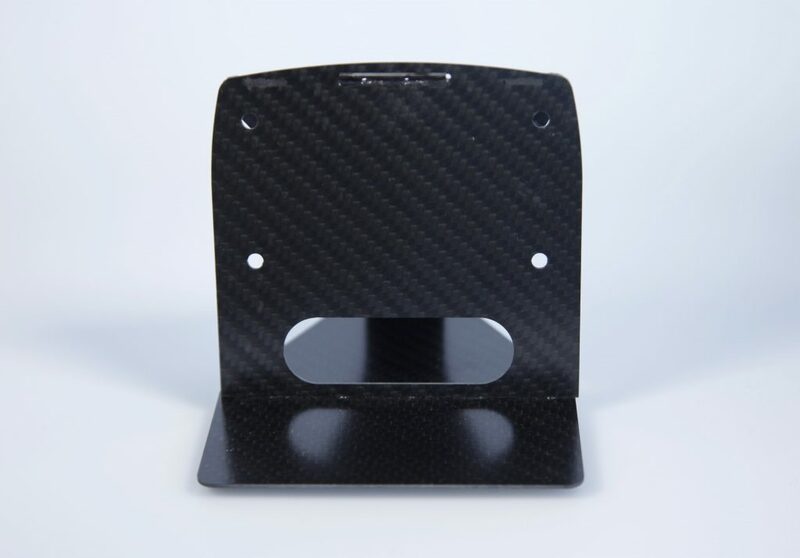 Therefore, CarbonParts has developed a new product: The CarbonParts EC Mount. 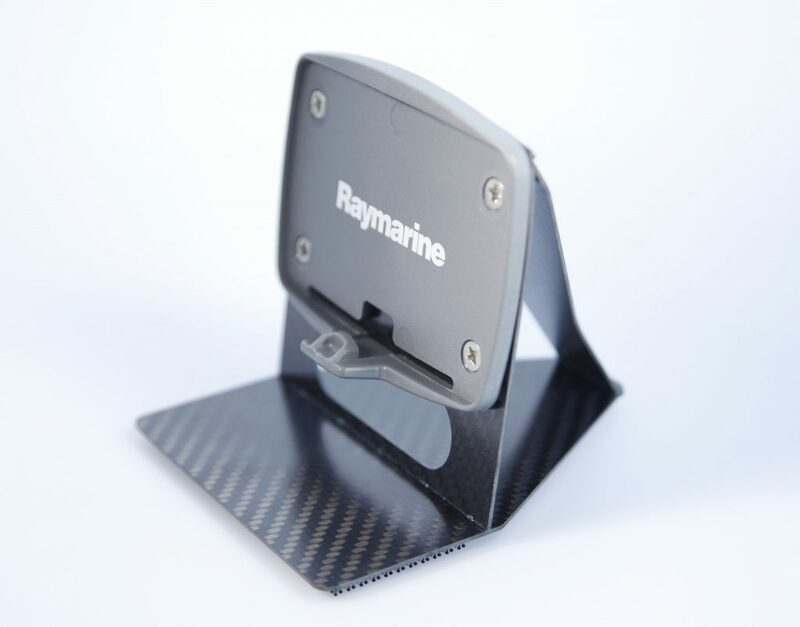 It is a carbon mount for the “Raymarine T060 Micro Compass”. 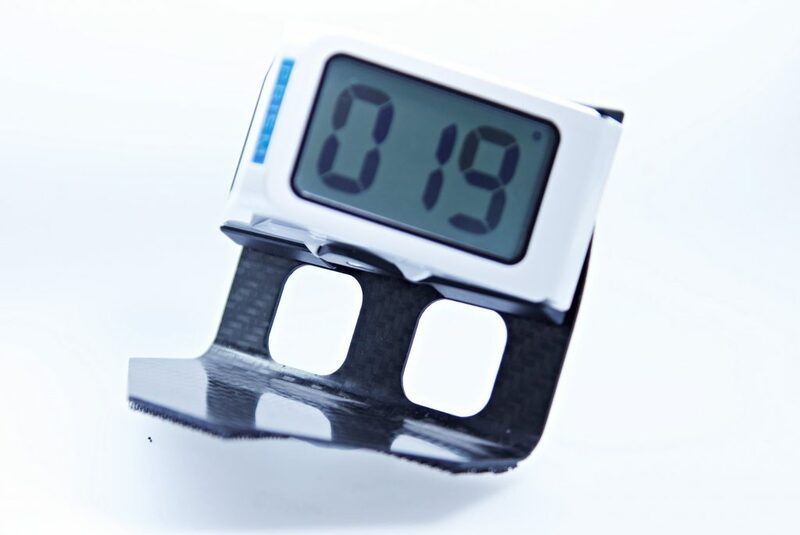 The mount comes with all the benefits, you know from our "old" design. Moreover, it is lighter, easier to mount and cheaper. 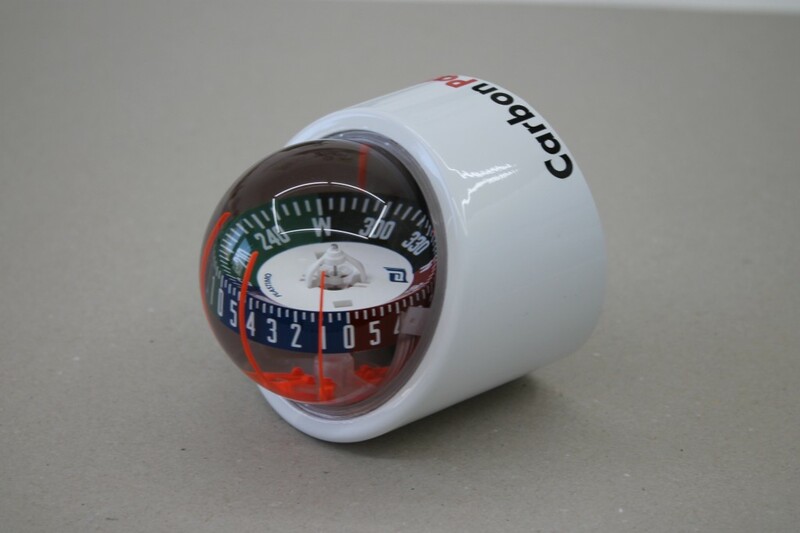 After CarbonParts‘ great success with its Laser compass, they have developed the new Optimist compass. 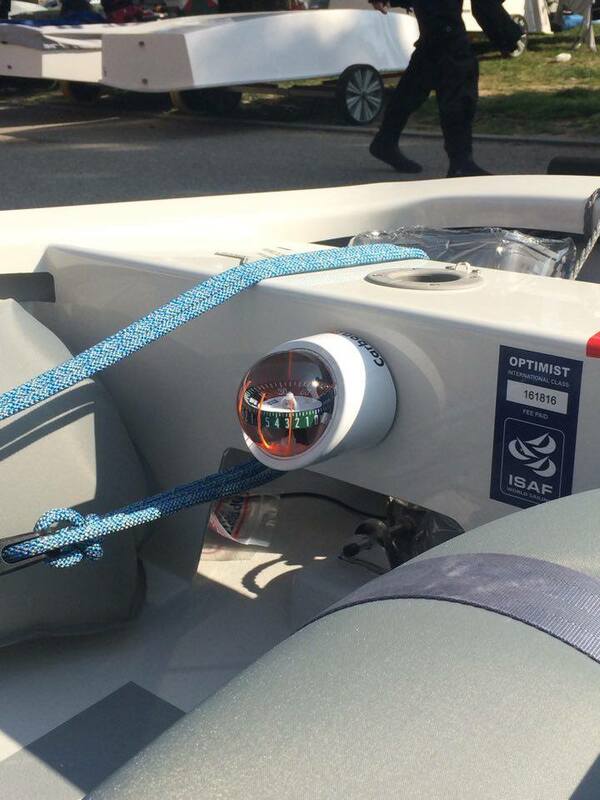 In cooperation with the Norwegian Optimist Team, a compass, which meets the special requirements of every Optimist sailor, was born. 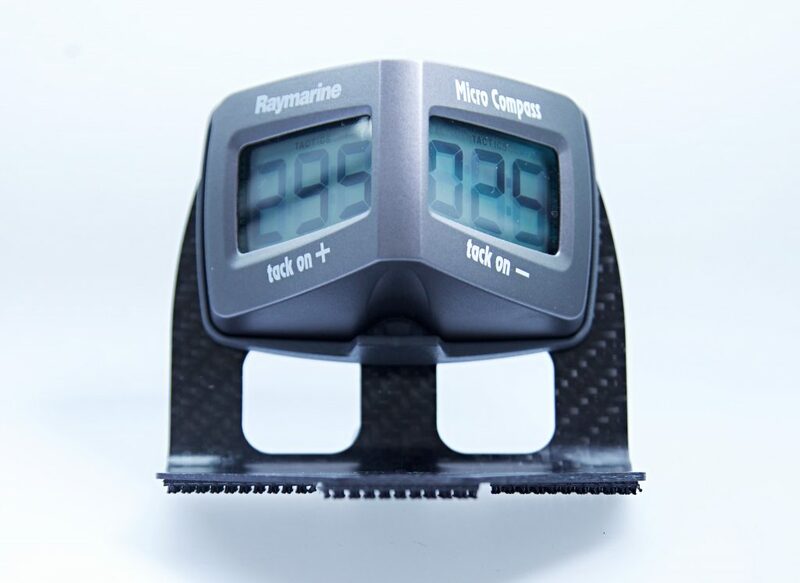 After Phillipp Buhl’s great success at the World Championship 2013, CarbonParts developed in cooperation with him the CarbonParts Compass for Laser Dinghies. The result was a much lighter (260g), smaller (14x9x10,5 cm) and more practical Compass, than ever before. With the Plastimo Iris 100 compass rose you don’t have to abstain from a good readable compass. 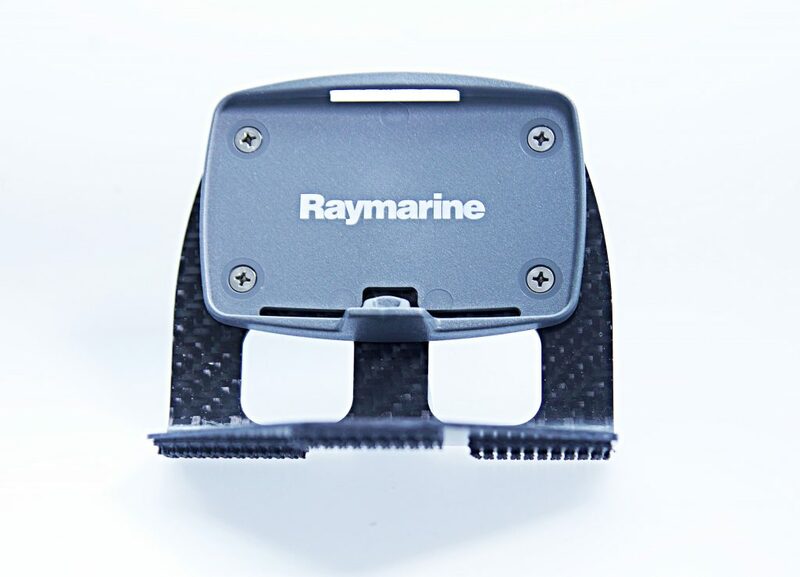 The Dual Lock 3M velcro ensures a unslipable fixation to the hull. 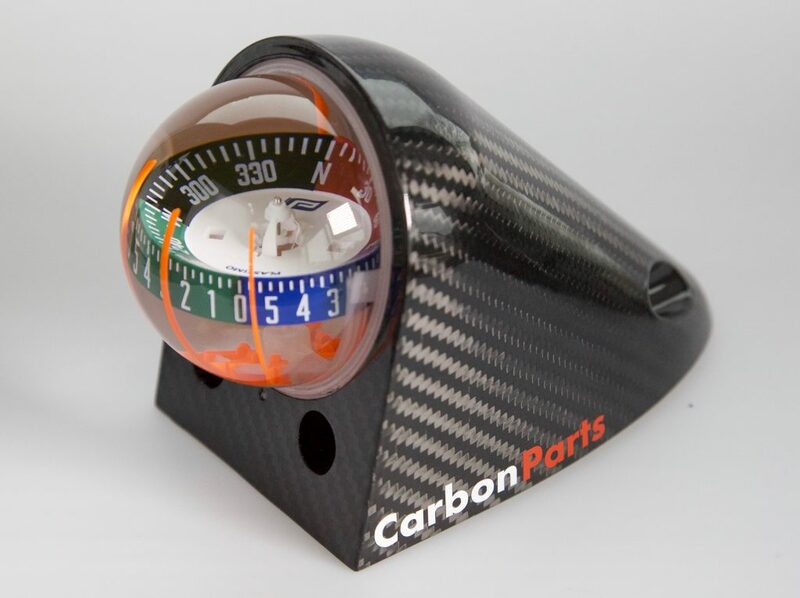 CarbonParts’s compasses operate on a dual scale basis. We have a tactical scale that is sectored into four different coloured sections with numbers ranging from 0-5. This makes remembering a particular number much easier and works regardless of what tack you are on.